My little craft project for the week is a birthday gift for a family friend. I’m not sure how I got nominated for this. Probably just too stupid to see the work wedged in between fits of flattery. (We need something creative. Karen…. you’re creative. You do something.) By the time I figured it out, it was too late, so I dusted off my middle-school science fair skills, and added a personal touch or two. You can’t tell from the picture, but the thing it’s all taped to is a package of crappie tubes. 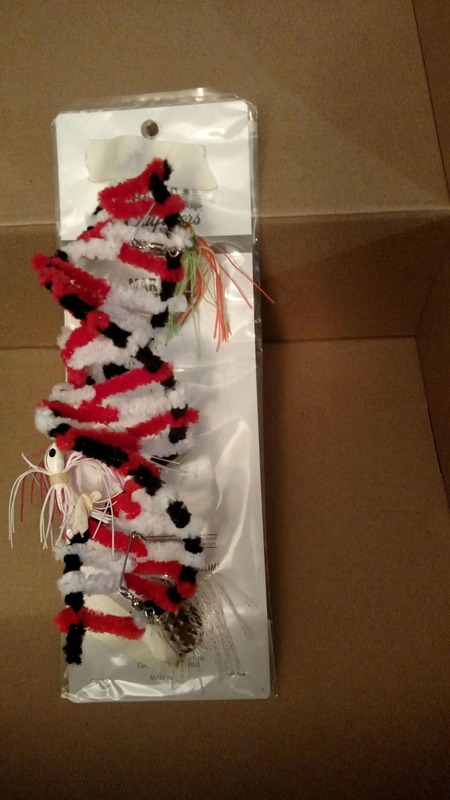 Because, continuing with the generally punny nature of this post… Look, we bought you a crappie gift. For the record (and for the sake of safety/basic human decency) I do have the tips of the fishhooks covered, so no one will accidentally stab themselves. I think that looks awesome! Well done! That’s hilarious and very clever!